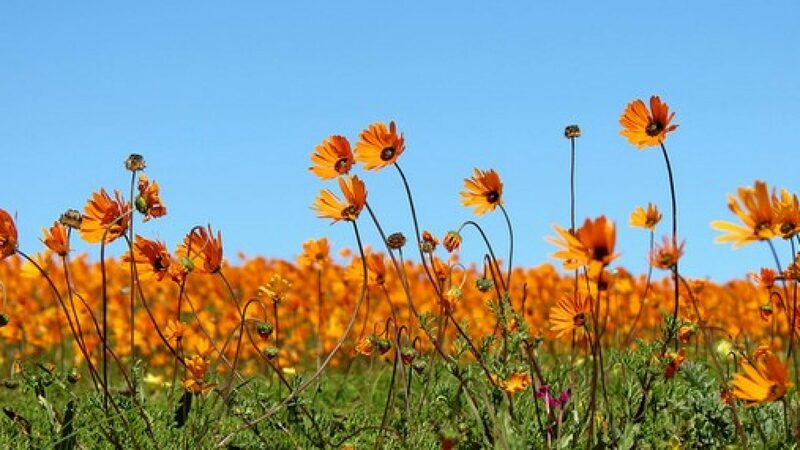 We offer you the best Namaqualand has to offer with our 3 and 4 day overnight flower tours. Every turn in the road paints an unforgettable picture: valleys filled with Namaqualand daisies and other spring flowers that pulse with sheer energy and joy. Next to some eye-catching succulents, a porcupine and a tall aloe pay witness to a baboon overturning a rock and pouncing on a scorpion. During early August and September, seemingly overnight, the dusty valleys of Namaqualand are transformed into a wonderland, carpeted with wildflowers. With its winter rainfall, Namaqualand is home to the richest bulb flora of any arid region in the world and more than a 1 000 of its estimated 3 500 plant species are found nowhere else on earth. Escape to the land of contrasts, where the rigorous climate has created a myriad of life forms superbly adapted to their specific habitat. Fields of flowers, star studded nights, quiver trees, enormous granite outcrops and the icy Atlantic are but a few wonders that await the visitor to what is truly the Creators’ playground. Flowers and Friendships are forever! This website is Maintained by Webcraft WS Pty) Ltd.
As the flower tours are all dependent on nature and the weather conditions both before and during our tours, Redwood Tours and any of its personal cannot be held responsible both legally or otherwise if there is a change in the conditions which are out of our control. It may occur that lack of seasonal rain at the right times, inclement overcast cold weather conditions or strong winds (or hot berg winds) during the flowering season could very much affect the the flower showings.